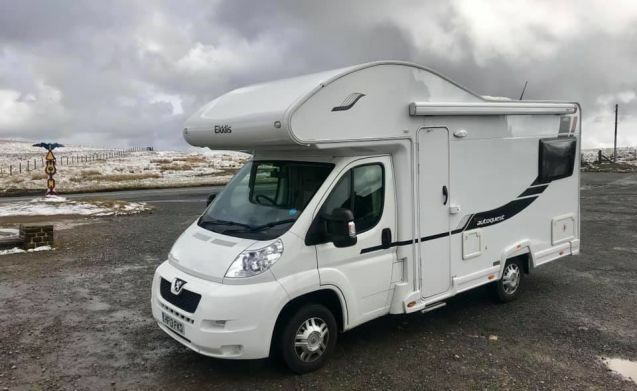 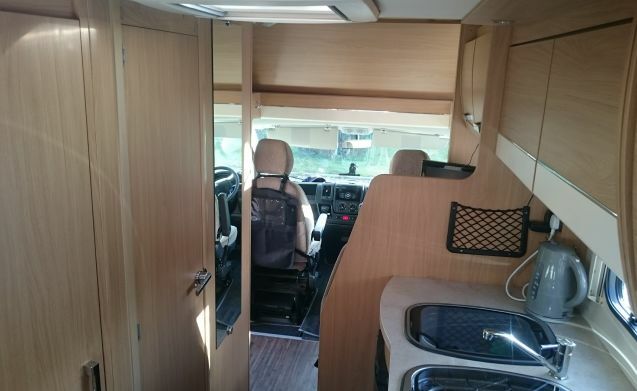 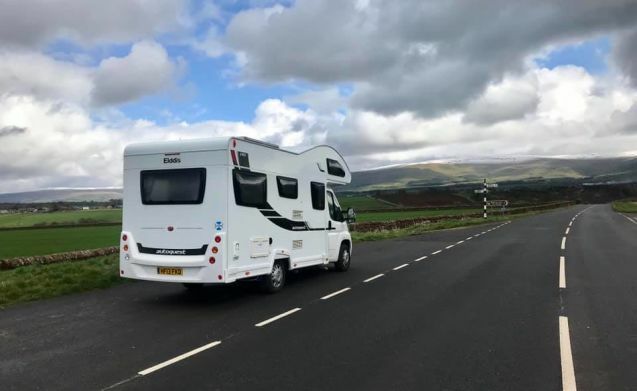 This fantastic family-owned motorhome is situated in the heart of Scotland and is ideal for those who wish to get around the country. 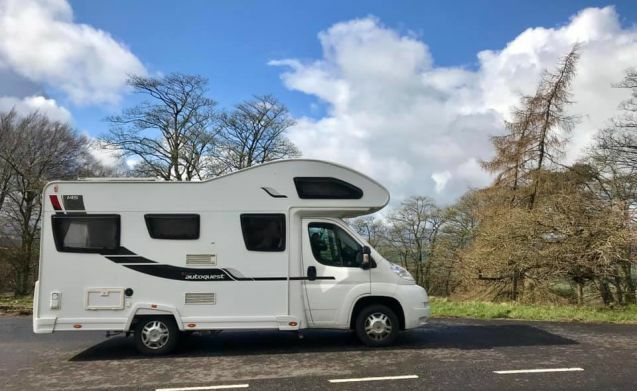 The Autoquest 145 has innovative use of space and comfort and has stylish curved locker doors and contrasting feature kitchen doors, all with positive locking, 13L water heater, LED feature lighting and lots, lots more. 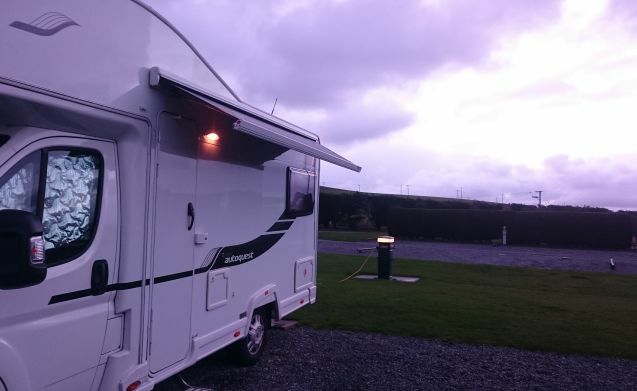 This motor home has been converted to LPG gas so running heating, water and cooking is a lot cheaper than Calour gas homes. 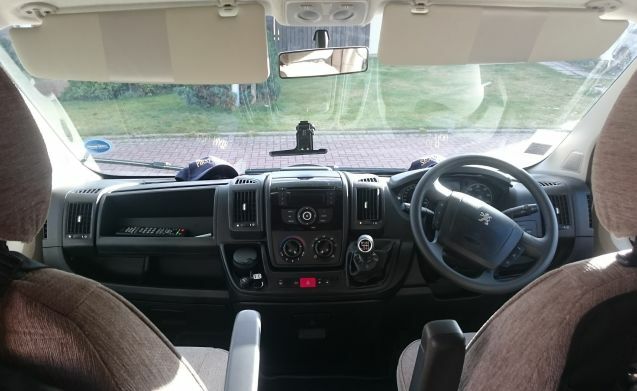 Insurance can be obtained through Dayinsure and is not included in price.